Whether detoxing for the first time, or adopting it as an approach to life, this is the perfect portable guide to finding a detox... read more plan that works for you and ridding your body and lifestyle of toxins. In just 48 hours, it's possible to kick-start a sluggish system, lose weight and improve the look of your skin. 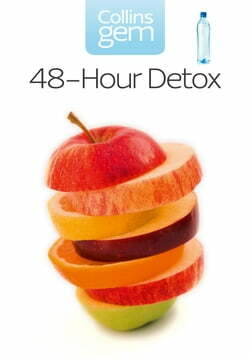 With a variety of 48-hour detox plans to choose from it's easy to pick a regime that fits into your life. Each plan includes delicious recipes and menus to help you lose pounds. Shopping lists and storecupboard must-have items are also included, making this the ideal book to slip into your handbag for quick and speedy reference. Up-to-date information on detox aids and therapies as well as useful addresses and a section on taking your detox beyond the 48-hours makes this book a great one-stop guide to safe and easy detoxing.